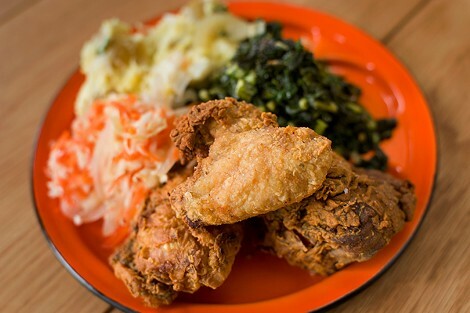 The fried chicken may be the best in the East Bay. The Victory Burger is simple, meaty, and juicy. The fried chicken dinner comes with three sides.